Bring the milk, sugar, salt and condensed milk to 80°c, stirring to dissolve completely. Leave to cool and add the cream, the Aromolio Evo oil and the grated sheep’s cheee. Put the mixture in an ice cream maker. Alternatively put the mixture in the freezer for a minimum of 6 hours and then blend quickly in a cup which has been in the freezer for 30 minutes, until a smooth ice cream is obtained. 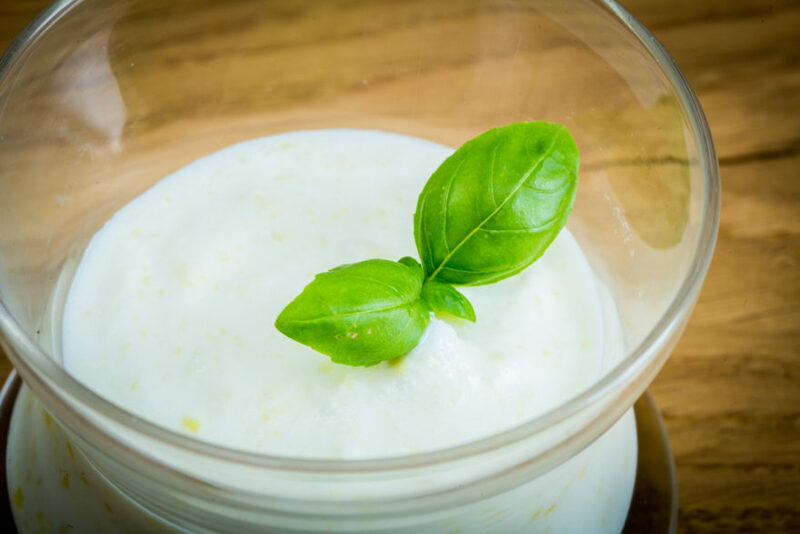 Serve in cold ice cream cups or chilled glasses with a basil leaf. Excellent both as a dessert or between savory dishes to freshen and clean the mouth. 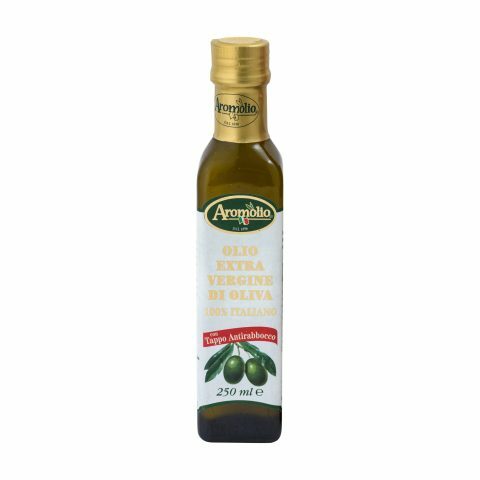 Try it with a carpaccio of tomatoes and capers. 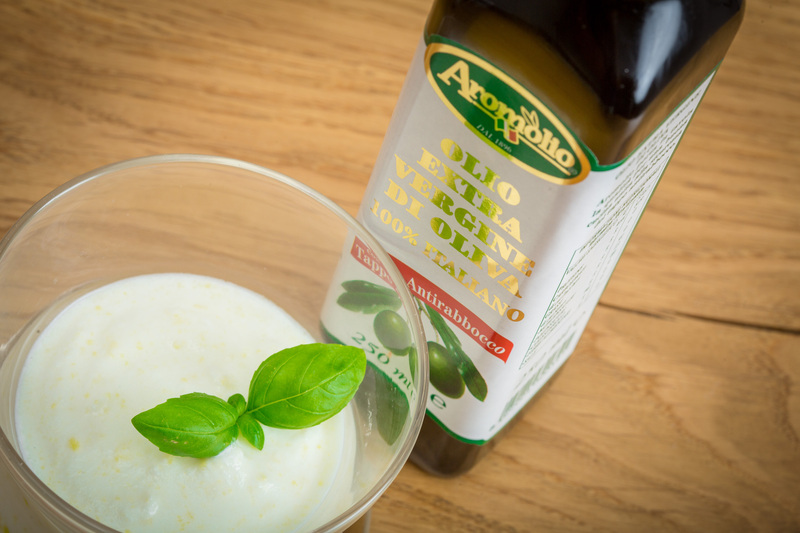 Follow our page dedicated to product detail, tasty recipes and news from the world of Aromolio.